While the big console manufacturers tried to steal all the glory with the end of year releases of their upgraded versions of Xbox One and PlayStation 4, there's no denying there was one true winner of 2016: virtual reality. It was a long time coming too. Years of testing and reiteration finally shed that '90s fad connotation that surrounded the tech for so long, finally emerging as hardware that not only had potential, but the ability to create a whole new platform in entertainment. But now the welcome confetti has finally fallen to the floor and the congratulatory bottles of Champagne emptied, the real challenge begins. Now VR has to prove its more than a passing fancy a la motion controls, rhythm games and toys-to-life. Virtual reality, on the backs of PlayStation VR, Oculus Rift, HTC Vive and more, needs to prove it's here to stay. It's the challenge that faces any new piece of hardware in the gaming and tech space. Every console that's every launched has proved its worth in the year after its initial release. Free from the hype and the excited hyperbole of launch, a console or new peripheral now has to conjure longevity in an industry that punishes stagnancy with a PR memory wipe. For VR, now that the mainstream press has moved away, it's all about supporting software that feels more substantial than a fun add-on. For that to happen, the VR of 2017 needs robust, substantial software tailor-made for use with a headset. The last thing VR needs, especially in the ultra competitive space of videogames, are games that have been re-tooled for a headset or shunted on like some half-baked after-thought thrown in to justify an arbitrary banner or sticker on the box. VR needs games such as Battlezone or EVE: Valkyrie - experiences built from the ground-up with the strengths (and the limitations) of modern virtual reality. It's no surprise that these two titles in particular have become some of the most popular and critically acclaimed games to launch in 2016. The bubble isn't going to burst entirely on VR in 2017, but the come down from all that hype will have a negative effect. In the face of VR potentially receding into the background, publishers and large developers will need to have the confidence to invest in VR projects. The videogame industry is an arena predicated on tradition - the same core concepts and ideas always sell well. Considering the sheer outlay required to design, build, test and market a VR title, the hyper risk averse nature of the modern games market is going to need to see the heavyweights (Ubisoft, Activision, EA, etc) show prolonged interest to see confidence grow. 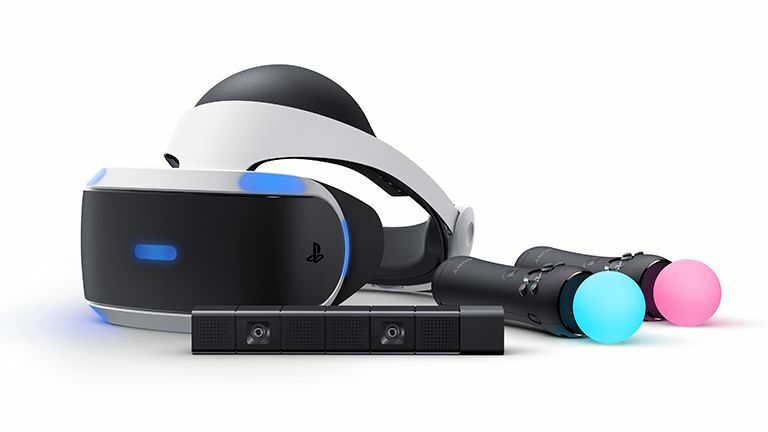 While VR needs the investment of the industry's bigger entities to create a sense of commercial confidence, critically and creatively, the medium would really benefit from the burst of indie support that helped elevate PS4 to its now near-godly position above the console market. The likes of Land's End, Superhot and Thumper - all small scale, independently created projects - have helped offer experiences that normal PC or console games simply can't provide. Doubling down on that sense of platform exclusivity is vital to VR establishing itself in the year ahead. Then there's the coming of augmented reality - with the likes of Microsoft's Hololens headset on the horizon, and the kind of weight that comes with the first-party development of a corporation that big, the arrival of a new device that shares a number of features and bears a resemblance to VR will no doubt help counteract the inevitable slump virtual reality is going to endure in 2017. Of course, the backing of Microsoft doesn't always equal success (two stillborn iterations of the motion control-based Kinect will attest to that), but it'll certain reignite mainstream coverage and potentially bolster VR as well. The potential for Apple to enter the market also looms on the periphery. Again, whether that materialises in the a competitive piece of hardware or a more focused attempt to create pure software, its entrance into the market would be a huge boon for VR. 2016 was the year VR won all the awards. Now it's time to for it to earn them.